Please check my video! It is about how to make a japanese mashed potato! If you can, please subscribe!!! Also, I have an another channel, so if you want to know, please leave a comment!!! In the create unit, we made our own tutorial. My tutorial was about how to make Japanese mashed potato!!! I embeded my video on the top of the post. However, click here to see my video. First, I thought of making normal mashed potatos, but my ingredients were like ingredients which we use in Japanese food, so I thought it was Japanese mashed potatos. I think my tutorial had subtitles, simple instructions, introduction, and step-by-step. Also, my tutorial was safe, since I didn’t include my whole name, where I live etc…, and I respected copy right, and I had appropriate language. I think my graphics should have been better, and I think I should have spoken clearly, and smoothly. Also, I didn’t have the final picture, of how the mashed potato should look like, so I think it will be better, if I improved on those things. I saw 2 tutorials which 2 people in my grade made. Emma (my sister), and Emily‘s. For Emmas and Emily’s tutorial, I found one similar thing that is one of the things that makes a good tutorial. It is the catchy music. I thought catchy music can make the tutorial interesting. Of course, I learned how to make brownies, and how to draw realistic eyes. I thought Emma should have subtitles to make it more understanding, and Emily should have voice in her tutorial. When I saw the two videos, I thought music was important and also, the words you use in the voice over, and the tone of your voice will change how the people who watches the video’s feelings. I want to learn how to make a tutorial with simple background, and how to add sparkles etc… on the “how it should look like” image. Also, I want to know how I can make a tutorial that isn’t disturbing and looks very clean. I want to learn how to make a tutorial with simple background because the video I took looked a bit unclean, and also there were some things which disturbed the video. Also, when I was filming for the microwave, it was very dark, and I couldn’t see most of the things. In the Planning, during the Tutorial unit, we planned our own tutorial. My tutorial is about “How to Make Mashed Potatos”. We drew a story board, and also planned our tutorial timeline for our tutorial. I think my tutorial will meet the subtitles, step-by-step, planned. I think subtitles will meet my tutorial because I will have subtitles, but the subtitles will be simple. The step-by-step will meet my tutorial because I think my steps are easily to understand, and also, it is step-by-step so it will tell each step with no extra detail that we don’t need. At last, I think my tutorial is well planned because my story board was very detailed, I planned the dates to prepare for my video, and also, I listed all my ingredients. I think the most special thing that makes my tutorial differet than the other tutorial videos about making a mashed potato is the ingredients that is in my mashed potato. I’m gonna put egg in it!!! Also, I think it will be more step-by-step than others. I think the viewer will easily understand my tutorial because I think it will be very organised, understanding, and step-by-step. I think I will need to learn if I can turn off the background noise, and the disturbing background in iMovie, because if there is background noise, or something in the background, it will not be a good tutorial, and it will be disturbing. I really enjoyed this unit and I can’t wait to make my own tutorial:) If I learn the two things on iMovie, I think I will make a wonderful tutorial! If possible, I would make my storyboard a little bit better. I would make it better, by making my drawings better. The drawings were quite bad, so sometimes, I don’t understand my own drawing!!! In this unit, we learned about what a good tutorial is and how to make one. Then, we were going to make a tutorial. The tutorial I was planning about was how to make a potato salad, since my passions is cooking. The first thing we did in this unit was our tutorial research. We saw some tutorial videos on the internet. I saw the tutorials that are based on cooking. We wrote about what we learned, what the creator did well, and what the creator should improve. My most favorite and my second favorite tutorial videos are listed on this blog post. After I finished posting my favorite tutorial videos, and a small paragraph on my blog, I commented on Sara’s and Emma’s blog to check their favorite tutorial videos too. On Sara’s blog, I learned how to run faster. On Emma’s blogs I learned how to make chocolate chip cookies. The tutorials they thought that was good was very good!!! During this unit, I learned what would make a good tutorial. The main thing I thought that would make a good tutorial were subtitles, and step by step. Also the background shouldn’t be distracting. I thought subtitles were important because if the creator didn’t speak clearly, or we couldn’t understand, it would be very helpful to understand the steps. Then, I think step by step is related to subtitles because if the subtitles aren’t written in steps by steps or the creator doesn’t speak in step by step, it will be counfusing. If the background is distracting, we would concentrate on the background and not watch the main tutorial. Finally, I really enjoyed this unit because after learning the important steps of making a good tutorial, I felt that I wanted to make one. Now, I would like to learn how to put subtitles in the video, during the step. Also, I want to know how the camera should be used to make a perfect tutorial. The reason I want to learn how to put subtitles is because I know how to put subtitles but I don’t know how to put the subtitles in the pace of talking. Also I want to learn how to use camera works because then the camera works can make a mess on the tutorial. Now, I would like to learn how to put subtitles in the video, during the step. Also, I want to know how the camera should be used to make a perfect tutorial. I watched 4 tutorial videos, and this was my favorite. It is called “How to make a Japanese Cheese Cake“!!! This video teaches us how to make a cheese cake. In this video, I learned how to make a japanese cheese cake. Also I learned that, we use smashed wafers for the bottom of the cake, because it had subtitles to see the ingredients, and how to make it. This tutorial is a good video, because the background is plain white, so it won’t disturb the audiences sight. It had both Japanese and English subtitles so both Japanese and American can understand. Also other people who speaks these language can understand too. The creator can say, and write the tips. Also, she should make a slide that lists all the ingredients at last, so we don’t have to watch the whole tutorial to check the ingredients. Maybe, this can’t be improved, however, I think the creator should have more good pronouncation if she’s going to speak in English, because some words were hard to understand. My second favorite video is about How to make a macaroni salad. I learned how to make a macaroni salad, by checking the ingredients and the instructions in this video. I thought this was a good tutorial too because it was simple, and oraganised, I can tell that this video was organaised because when the video was filmed after a few minutes, the scene changed. I think this video would be better if it had subtitles, and it told us how to make a boiled egg in case if someone didn’t know how. What I feel about my blog design! I worked on my blog design for 3 days. I made a draft, and then made my real one for each of the 3 designs. Then I chose my favorite one to use. I am really happy to my blog design because I think it is very colorful and I can see my personality in my drawing. For example, my favorite colors, and my favorite pattern. I also think the contrast is also adjusted well to make the words look clearly. The layout of the posts are seen easily because the posts are outlined. Also, My blog title has the word “track”. People who doesn’t know about international school might be interested because the track means the road of doing something or trying to achieve a goal. For my blog, I wanted it to mean what kind of work I do until 12th grade(graduation). My blog has a design of a shooting star. 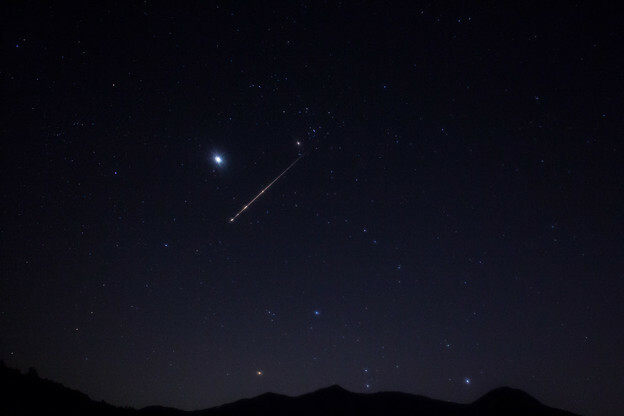 In Japan, if a shooting star shoots in the sky, people wish for something. Then, that might come true. (You need to wish for something while the shooting star is shooting across the sky or right after it finished shooting.) I wanted to be talented in different subjects, but I think I won’t be talented to everything, but I really want to be talented in Art, English, and Drama. The last thing I am proud of how to make pages and how to show stuff in the Navigation Menu. When I looked at the 7th graders blog, I was so curious to how to put the categories on the Navigation Menu and also make how to put the categories in a file called School or Categories. I also wanted to make an About me page because I wanted my readers to know about me before they read my blog. On the About me Page, i didn’t put my personal information to make myself safe. We worked on the planning and designing part of the Design Cycle. For the first part, the investigating stage, there is a post about it here. So far, we designed our own blog including the background, widgets, header etc… For the one that was called How to Grow a Blog, we made a goal of our own blog. I think we have done these things because we want to make our original blog, so we can see the difference of each other’s blogs. For the How to Grow a Blog, I think we did this because if we have a goal, we can work hard to achieve our goal and we can have the feeling to try our best to make our blog the best blog. It took us 6 weeks for finishing this. I chose this blog design because I really like the color and the design. I imagined the posts as the shape for a filr because I like to be organised and in school, we mostly use files to sort stuff. Also I choosed a shooting star because in Japan, there is a story that if you pray for something when you see a shooting star, that will come true, and in school, I want to be talented at different things so I thought if I pray, I can be better at that more than I am now. I was confident on my blog design because I really think that I put most of my personality. For example, my favorite colors, my favorite pattern and others. I really enjoyed this part as the one before. I enjoyed it because I really learned that if I make my blog original and different to others, many people will come to our blog. The thing that was challenging the most in this unit was setting my goal because I had 2 different feelings. One was I want to have… and the other one was Can I have this many(much)…? I asked myself which I would rather think of so I mostly chose I want to have to think more positivly! One of my goals were I want to have more than 500 people viewing my blog and people from more than 50 countries will visit my blog at the end of 6th grade, so I want to make my blog interesting and make many people read my blog. During this 6 weeks, we worked on 3 things. The first one is our Blog Brainstorm. The second one is the Blog Research. The third one is the Learning about Word Press. These things were important to learn to know what to post, and how we can make it look good with our own ideas. I learned from this unit that if we don’t know about the basics and know how to find out the important facts, we can’t make a good blog. When I did the brainstorm, I thought that if we don’t have an idea of what we are supposed to write, it will take a long time. Now I have lots of option to choose on writing and don’t have to take a long time since I have ideas. When I did the blog research, I have learned that we should have pictures (the pictures need to stay on the topic) to get attention of our readers. Also, we need to have good designs and fonts, and need to be organized to get the readers attention. When I finished working on it, I know a lot about what makes a good blog and learned to look at other people’s blog with my own perspective. This way, I can make a better blog. At last, when we did the learning about word press, I learned that if we don’t know about each section and how to organize things. For example, without adding tags and categories, we can’t organize our blog. That means that our blog won’t look good, but now, I can work on my blog proudly. Also, I learned that if our readers want to look at the post again and they can’t find it, they will give up and look at other people’s blog. That will be a bad thing! The most three important criteria to me is safety, organization, and writing. I think safety is important because if you write about your personal stuff, someone might act as you or something bad might occur. That means you can’t put your whole name, telephone number, address and other dangerous information. I also think organization is important because if your blog is not organized, it will look messy. As I mentioned before, if it is messy, someone who wants to look at the same post they saw before won’t be able to find it. Finally, I think writing is important because if you don’t have good grammar, punctuation, and spelling, the readers won’t know what you’re trying to say. So they won’t read it. That means the reader will think you have bad english, so they won’t access to your blog since they don’t know what you’re saying. If I would add one more criteria that is important, I would include design too. The reason for that is that if you have good design(that includes background, color and fonts etc…) the blog will catch the reader’s eyes and they will check your blog. When you want to check if you have made your criteria well, you can do these things. For instance, for safety, you can check by thinking to yourself if you can say this to people that you don’t know, or bad people. As for organization, you have to make sure to post in the appropriate category. In writing, you can check your writing again and again to check if your blog has good grammar, spelling, and punctuation. If you’re not confident of your english skills, you can ask your friend or teacher to check. My conclusion is that I mostly felt that I am proud of my work. For example, I really liked my brainstorm. Also, at first I didn’t like my blog research but when I changed it little by little to add details, I became confident on my work. For the next unit, I want to learn how technology can affect people in a good way and a bad way. I want to be better in writing posts that take the readers’ attention. I liked working on learning about word press sheet the most because I like to discover things that relate to technology and communication. Also, I learned about what we could do on our posts and blog. When I summarize what I wanted to say on this post, I liked everything and I slowly am getting knowledgeable on technology and blogs.